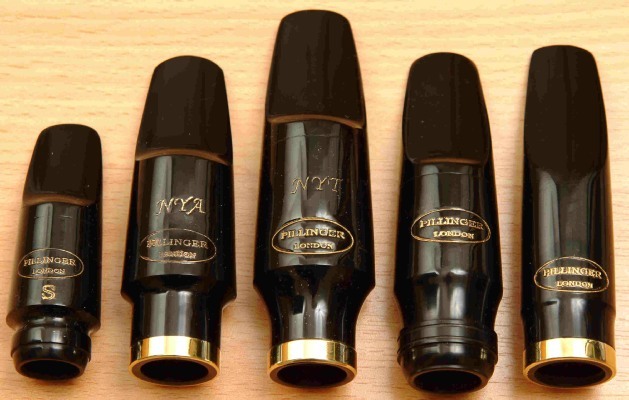 All Pillinger mouthpieces are handmade so stock is often limited. Items which are available will be sent within 5 working days. I aim to supply custom made orders within 28 days, but if a longer delay is anticipated we will contact you as soon as possible. We do not take payment until your mouthpiece is made and ready for dispatch. Prices quoted are in UK Sterling. All mouthpieces must be prepaid before shipping. Mouthpieces are available for a trial period of 14 days from the date of receipt, with a maximum limit of three mouthpieces per order. All returned mouthpieces must be in original condition without scratches, ligature or teeth marks. Upon completion of inspection, your refund (minus shipping charges) will be processed immediately. If no purchase is made, returned merchandise is subject to a £5 per mouthpiece restocking fee. Please note that return shipping without insurance makes the order the responsibility of the purchaser. If you are returning a mouthpiece because it is unsuitable you will need to pay the shipping costs back to us. If you want to cancel an order before it is dispatched, just phone or email us. All card payment transactions are made securely through Paypal. For deliveries within the UK we use Royal Mail Special Delivery; this means that your goods will arrive before 1pm the day after dispatch. This service costs £7. For deliveries to Europe and the rest of the world we use Royal Mail Airsure or International Signed For. This service costs £12. All these services are trackable. Pillinger Mouthpieces are committed to safeguarding the privacy of our customers. We only use the information that we collect about you lawfully in accordance with the data protection act 1998. We use the personal information supplied by you to us, to provide the best possible service we can, to process any orders you make and to provide you with information about products and services we offer.